As someone who has studied wine and continues to study wine, I get asked a lot of questions on the subject. And if there’s one thing I like almost as much as drinking wine, is learning about wine. I’ve recently hosted a couple of wine tastings and have attended a couple of wine events, and here are some of the most common questions I get asked. How do I know if a wine is gone bad? I get asked this question in almost every wine tasting. Because sometimes people think they didn’t like a particular wine, when in actuality it may have gone bad, or skunky as I like to call it. If a wine has gone bad, or skunky, it will give off a very distinct aroma. I call it skunky, some people call it barnyard, and others just call it ‘wet dog smell’. It happens more often than you think. My friend at the NSLC told me about 10% of wines using natural cork are returned and only about 4% with screw caps. Wines go skunky because they are exposed to oxygen, which is more common in bottles with natural cork, because cork reacts to swings in room temperature. 2. How long does a wine keep? There are varying answers to this question, and it will depend on who you ask. I’ve read that you can keep wine up to a week in the fridge. Personally, in my opinion, this is true for a white wine, but I don’t find the same applies to a red. First of all, I refrigerate left-over wine. Always. And I’ll be honest, I don’t usually keep red wine for more than a week. However, I did go away on a trip for 5 days and although the red wine was in the refrigerator, I didn’t find it tasted the same. I find 3 days max to keep leftover red wine, and that time frame doesn’t usually pose many problems for me. 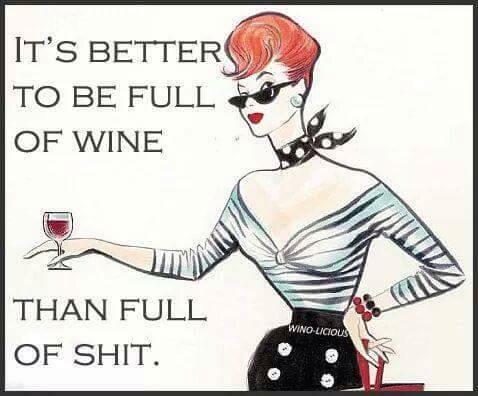 White wine…. much longer. 3. Are all sparkling wines considered Champagnes? I have a funny story to share. When I was a kid growing up, Christmas Day was very special because my parents took out the good China and bought sparkling wine for our Christmas Day dinner, and we were allowed to have a small sip each. The wine was Baby Duck, and my parents called it Champagne. And I thought we were all very elegant to be sipping this nose-tickling beverage. And for years, I thought all sparkling wines were Champagnes. Champagne was discovered by accident, when it went through a second fermentation in the bottle and the bubbles were created. But in order for a wine to be called Champagne, it must come from the Champagne region of France. And you’ll know, because Champagne has to be printed on the cork. There are many other fantastic sparkling wines, even made by the traditional method that Champagne is made. Italy makes beautiful Prosecco, Spain produces lovely Cava and here locally Benjamin Bridge are putting out spectacular sparkling wines that are receiving worldwide attention. So that’s the top 3 questions I have been getting over the past couple of months. We’ll cover more questions at a later date, and if you have a question, send it over. 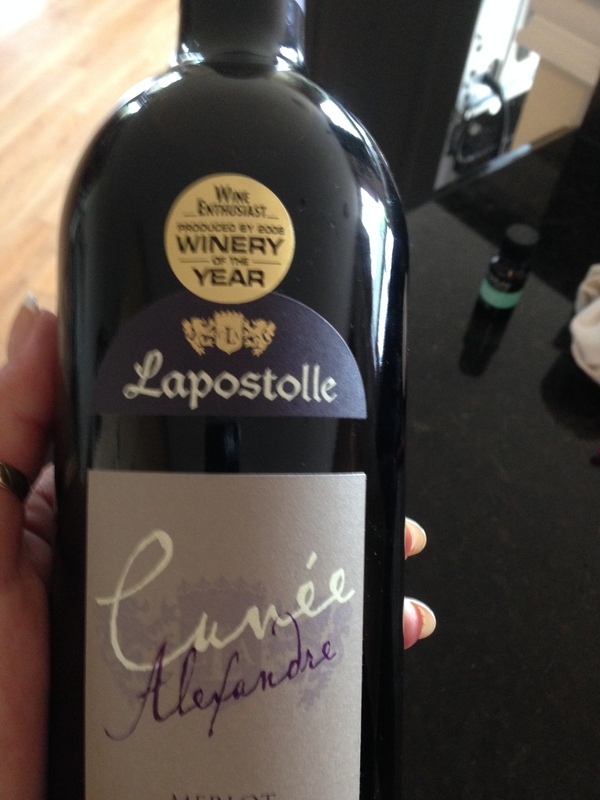 The Lapostolle Cuvee Alexandre Merlot has been given 90+ points and awarded Winery of the Year. I enjoyed the 2011 Merlot which is certified organic and contains 85% Merlot and 15% Syrah. The Syrah really adds nice spicy notes to the lush juicy Merlot grapes. 100% of the grapes used in this wine were hand harvested, which really speaks to the care taken in the making of this wine. Worth every penny of the $32 I spent on it, and it’s full-bodied enough to pair well with beef, ribs or any other dinner where the meat is the main attraction. A Few More Fun Facts About Wine! 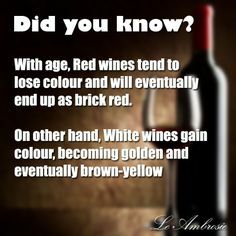 I love reading about wine And when I do I can’t help but come across some really eyebrow-raising interesting facts concerning wine. Like this one…. 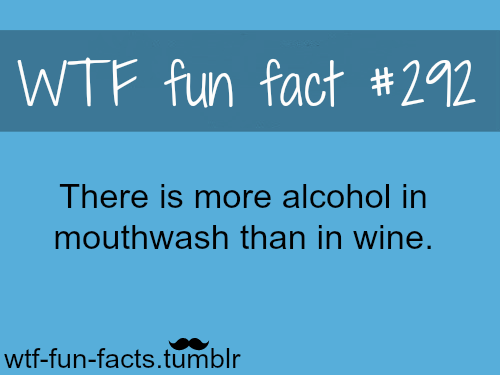 I googled it, and discovered mouthwash contains an alcohol level of anywhere between 22% and 26.9%. Wine on the high end would be 14.5% for some reds while some wines can contain as little as 6%. Plus it’s no fun to swallow mouthwash and even less fun spitting wine. 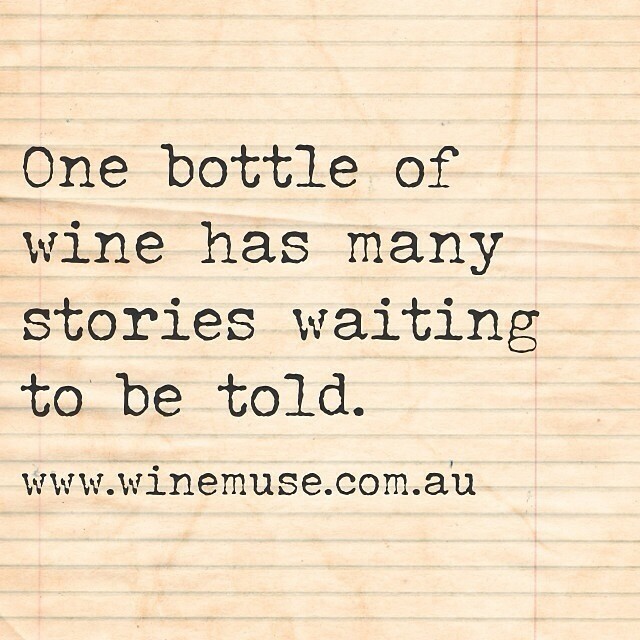 Wine has all kinds of fun facts surrounding it. Did you know, in 1976, there was a wine tasting in Paris that blindly compared Californian wines to French wines. California won and the lone reporter covering the event was blacklisted for reporting it. 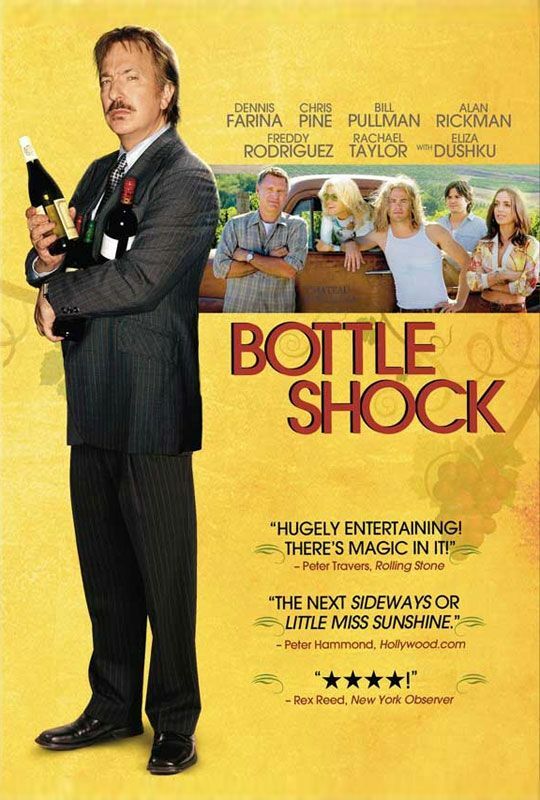 That event, also known as the Judgement of Paris, became a movie in 2008, called Bottle Shock. It’s a great movie starring Alan Rickman and Bill Pullman and really worth seeing. Wine Fun Fact #2: During the prohibition, Vintners sold ‘Wine Bricks’, as opposed to wine. Grape juice mix was sold with the warning “After dissolving the brick in a gallon of water, do not place the liquid in a jug away in the cupboard for twenty days, because then it would turn into wine.” That’s how they got around the restriction, because at the time selling grape juice was not illegal. Wine Fun Fact #3: You can open a bottle of wine with your shoe. Here is the video showing how it’s done. I always play it safe and carry a corkscrew with me, however, if the shoe fits… why not use it to open wine. This is one of the strangest things I have read recently concerning wine… and more specifically Seagull wine. There is an alcoholic drink called seagull wine. That is made purely by stuffing a whole seagull into a bottle of water and leaving it in the sun to ferment. Seriously, you can’t make this stuff up. In the Arctic Circle because of the cold temperatures, people were limited when it came to making wine. I can’t see it winning any awards, but apparently it does make you drunk. Hey they have bacon vodka, why not Seagull wine? It’s not sold in any liquor store yet, so if you are tempted to try it, you will have to head North to the Arctic Circle. 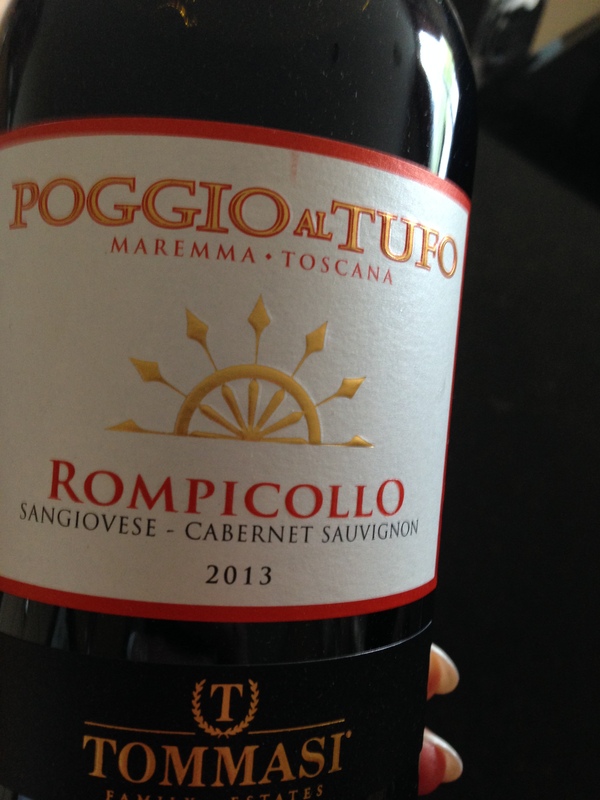 An Italian beauty from Tommasi, the Poggio Al Tufo Rompicollo is a blend of Sangiovese and Cabernet Sauvignon. I had the 2013, and it was a fantastic wine that was rich and full-bodied and had dried raisin-like notes. Given 93 points by many people, it will remind you somewhat of an Amarone. It’s smooth and well-balanced and just a great wine at a great price, would you believe this wine is only $20 here in Nova Scotia? Tastes like a much more expensive wine than that. Good Wine With Great Friends! What a week it has been for wine. 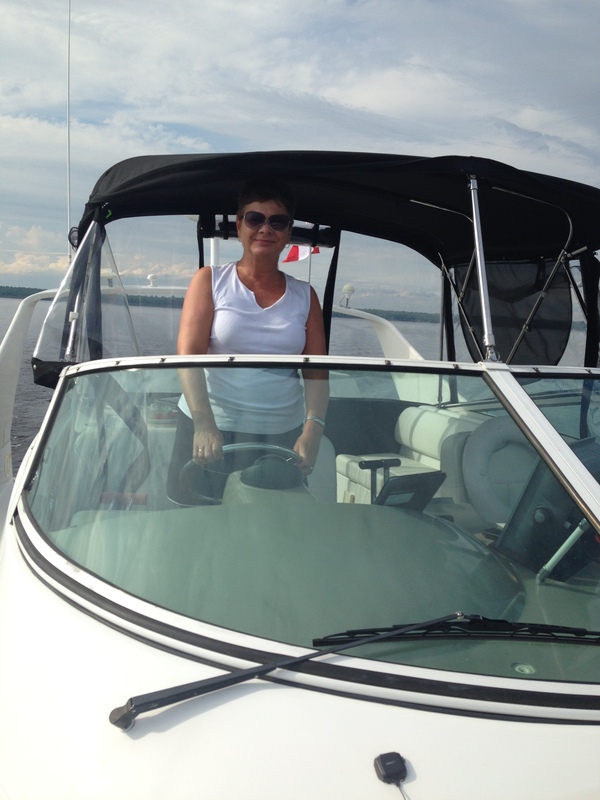 The week started with me visiting friends in New Brunswick and spending some time on their boat. 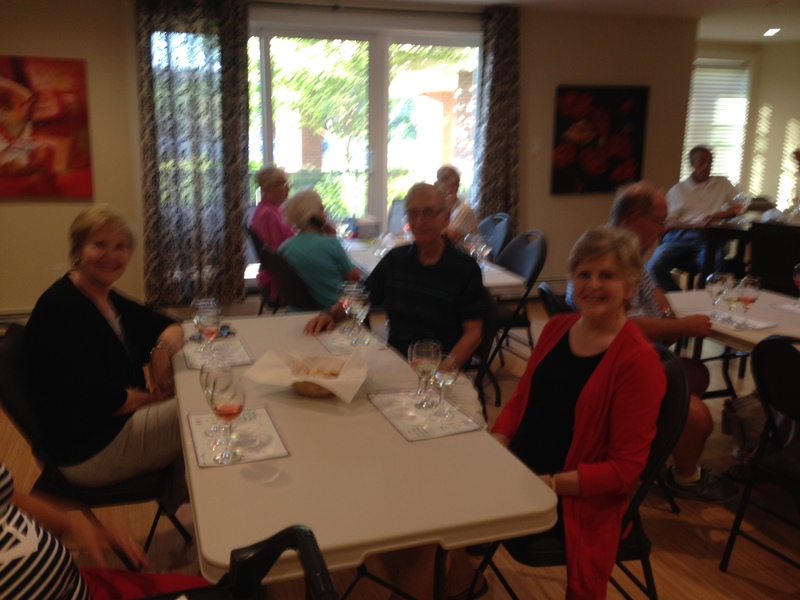 And of course sharing a few laughs and a great wine. 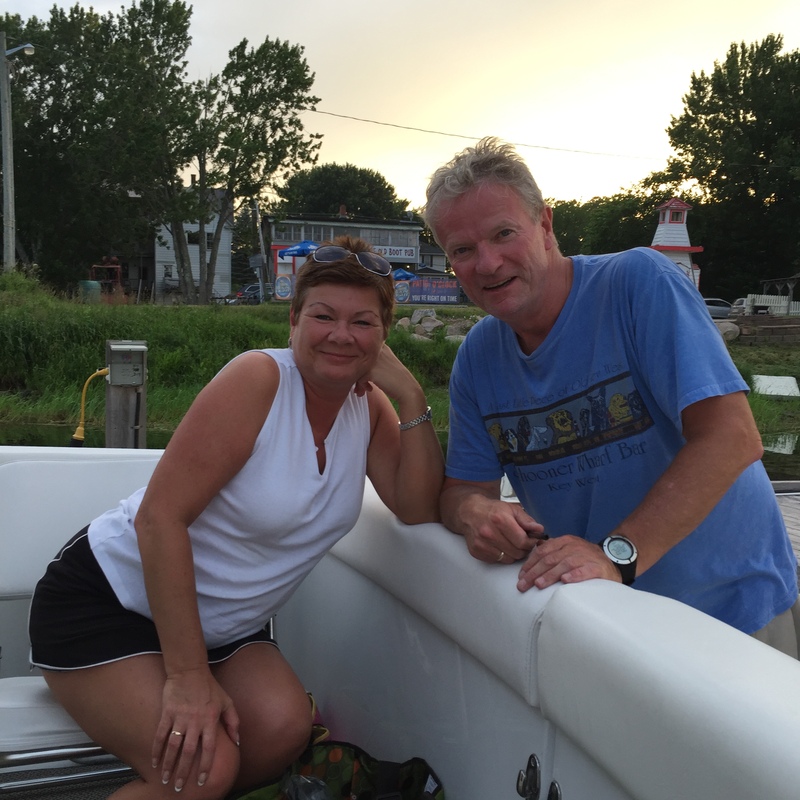 I even got to drive the boat! 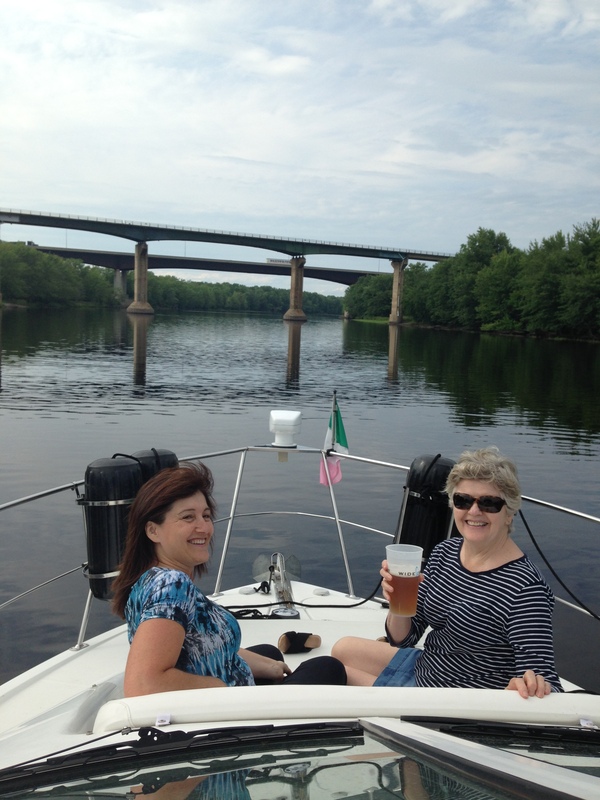 My friends Ron and Rosalie hosted myself a couple of other friends on a boating adventure along parts of the Saint John River. And while we were cruising they surprised me with one of my favorite wines. 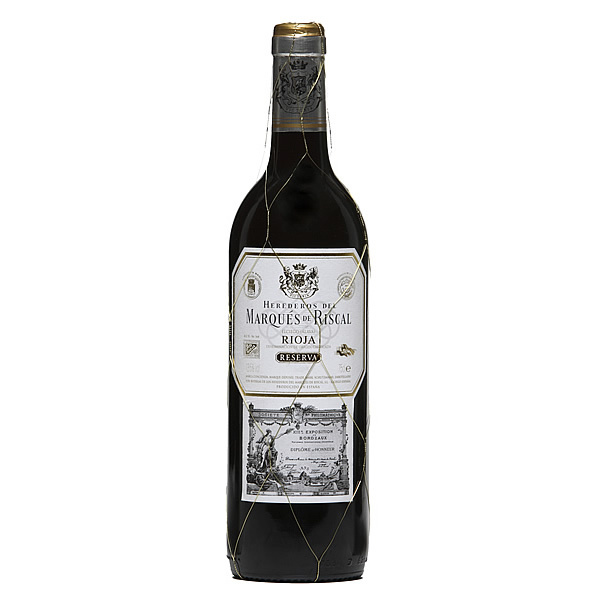 I haven’t had the Marques de Riscal since I left Newfoundland because you can’t get it here in Nova Scotia. It’s a shame, because this is a spectacular wine. Tempranillo grapes with Graciano and Mazuelo varieties blended in, but not exceeding 10% of the blend, and then it spends 2 years in American Oak, and a minimum of 1 year aging in the bottle before release. This all adds up to an extremely smooth medium to full-bodied wine with spicy notes of cherry and balsamic. A great wine for meat dishes, pizza, ham, or cheese and crackers. It also pairs very well with a great boat ride. Thank you Ron & Rosalie. And thanks for the scenic adventure. The Tidal Bay wine from Benjamin Bridge is a delightful crisp wine on the senses with gorgeous citrus flavors. This wine, along with other Tidal Bay wines from Nova Scotia represent the terroir of this province with its cool breezes and short growing season. Designed perfectly to pair with seafood, this wine also goes with appetizers, salads or even a great patio. A couple of people described it as tart, but when paired with something like an oily fish or mussels, it’s exactly what you’re looking for in a wine. 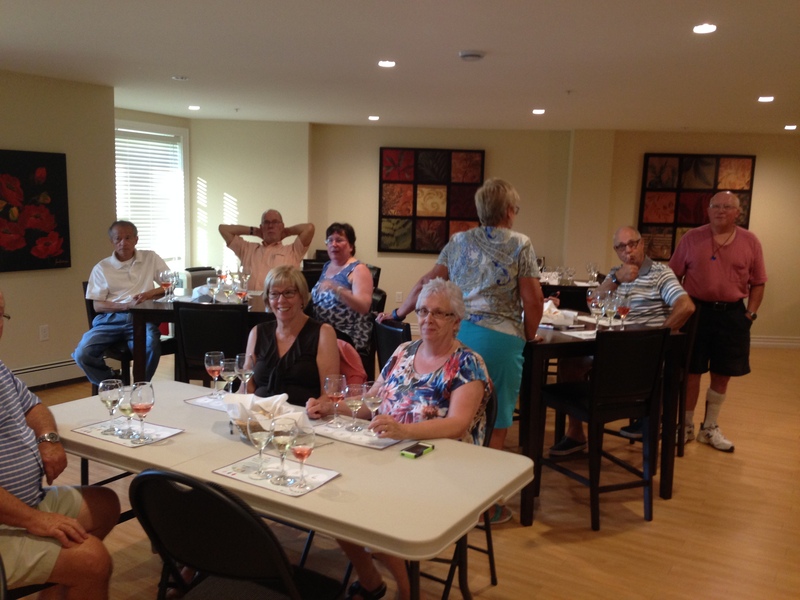 Here’s another wine from our tasting that is brand new to the NSLC here in Nova Scotia. 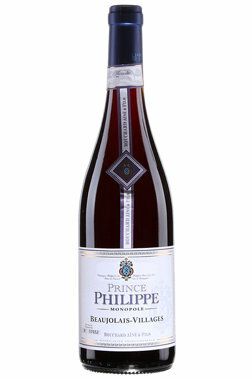 The Prince Phillipe Beaujolais pays tribute to Philippe III known as Philippe le Bon (1419-1467), Prince of France and Duke of Burgundy. Quite the title, isn’t it? Fruity and floral, everyone at the tables really picked up on the floral notes, smelling flowers and roses. This is a light-bodied wine which would be great for lunch, light meats and some poultry. 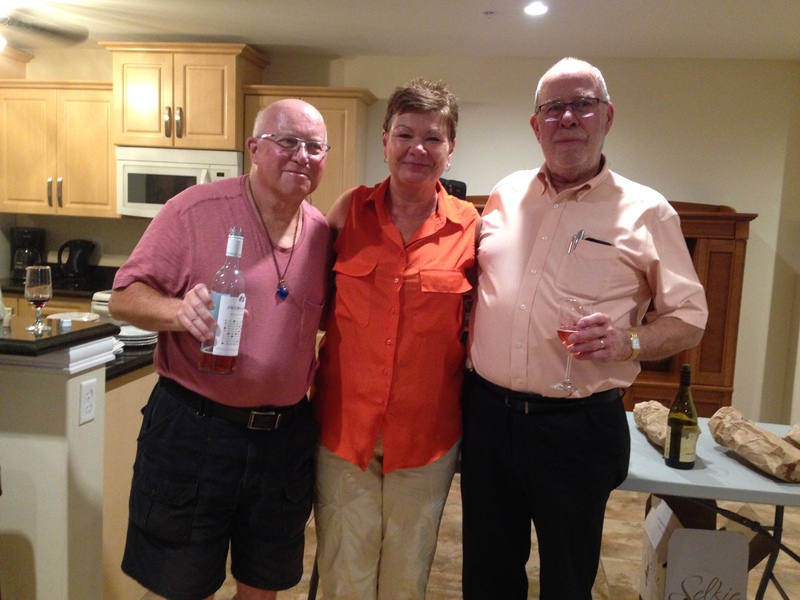 I had some handsome helpers for this great event, and we tried 6 different wines from 6 different countries. Two whites, 1 Rose and 3 Reds. 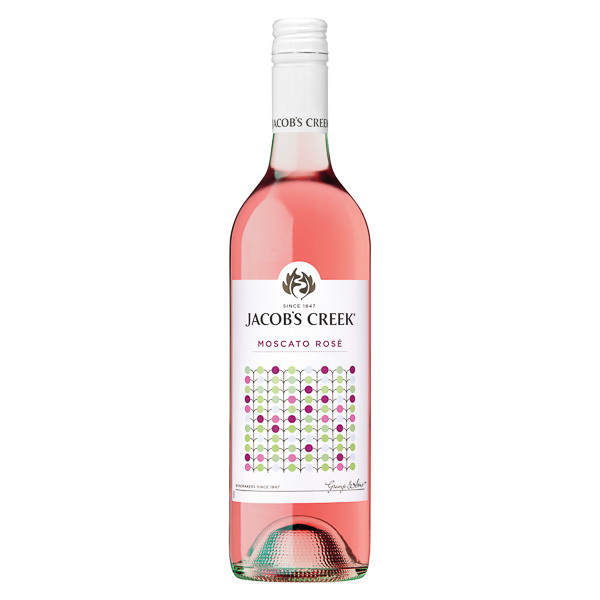 The Jacob’s Creek Rose is made from the Moscato grape so it does have that hint of sweetness. It’s light refreshing and fruity – great for summer. It is not considered a sparkling wine but it does have effervescence on the pallet. A great one for spicy foods and at just $13.49 a bottle, it’s very easy on the wallet. And by far this was the winner of the evening, and it’s my wine of the week….. 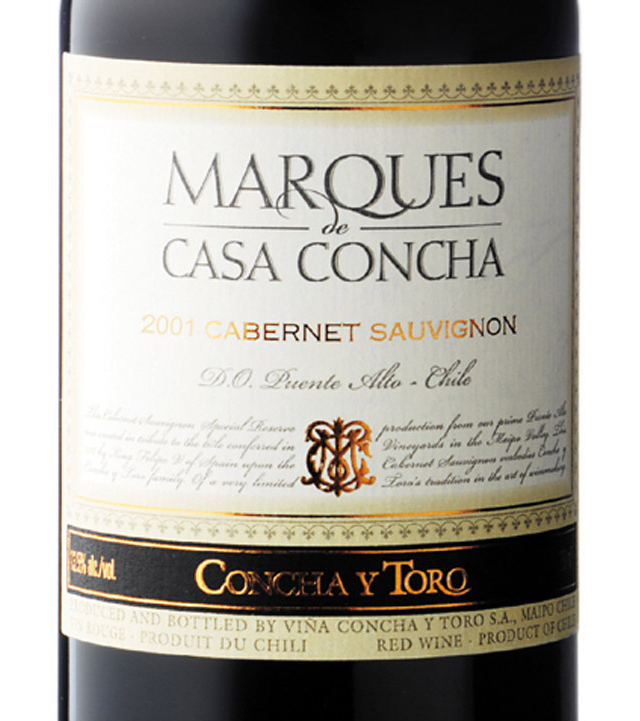 The Marques Casa de Concha Cabernet Sauvignon was a hit. Voted the most admired wine brand in the world, Conchay Toro celebrated its 130th Anniversary back in 2013… not bad for what started out as a little vineyard in Chile! In this part of Chile there are big temperature swings from day to night. What that does is prolong the ripening process and ensuring a wine with concentrated fruit and intense aromas. This wine always makes the Top 100 wines from Wine Spectator and has won many other numerous awards. 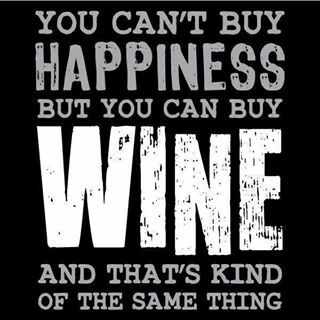 What a great week for wine…. Thank you for reading and sharing with your friends, it is very much appreciated.